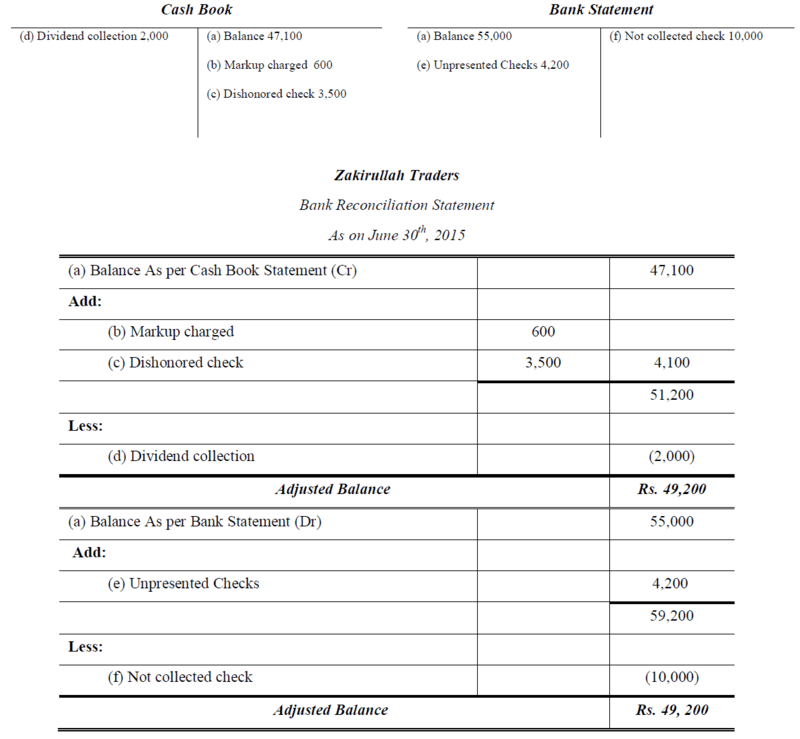 Prepare Bank Reconciliation Statement to find out adjusted balances in both books of Zakirullah Traders on June 30th, 2015? 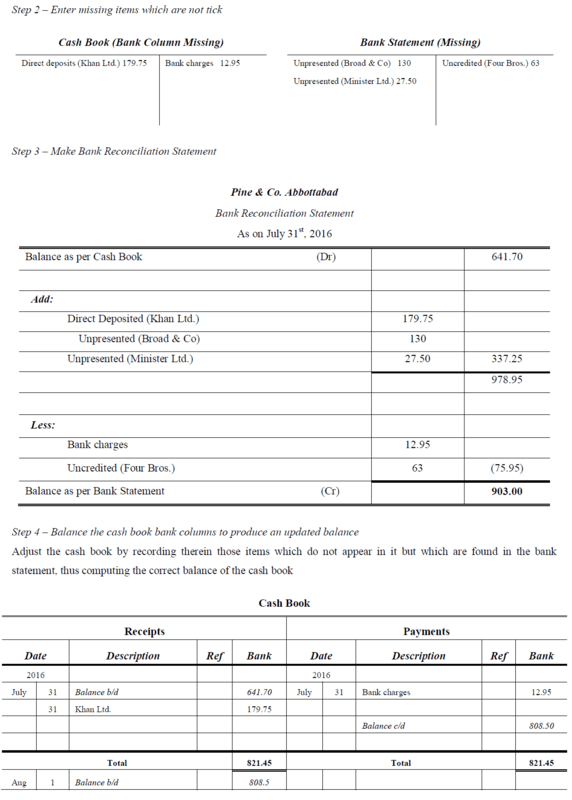 a. Unfavorable balance as per Bank Statement Rs. 55,000, while cash book credit balance of Rs. 47,100.
b. Mark-up charged by bank Rs. 600.
c. Check of customer Basher & Company for Rs. 3,500 was dishonored and returned by bank. d. Dividend collected by bank not recorded in the cash book amounted to Rs. 2,000.
e. Checks issued amounted to Rs. 10,000 but presented to bank for payment worth Rs. 5,800.
f. A checks deposited into the bank of worth Rs. 30,000 but Rs. 10,000 check was not collected by bank. a. Check amounting to Rs. 9,977 had been sent to suppliers and entered in the cash book during March, but had not yet been presented to the Bank. b. A check for Rs. 2,077 was issued by the company for purchase of merchandise and was paid by the bank but not recorded in company’s book. c. Bank deposit of March 30, for Rs. 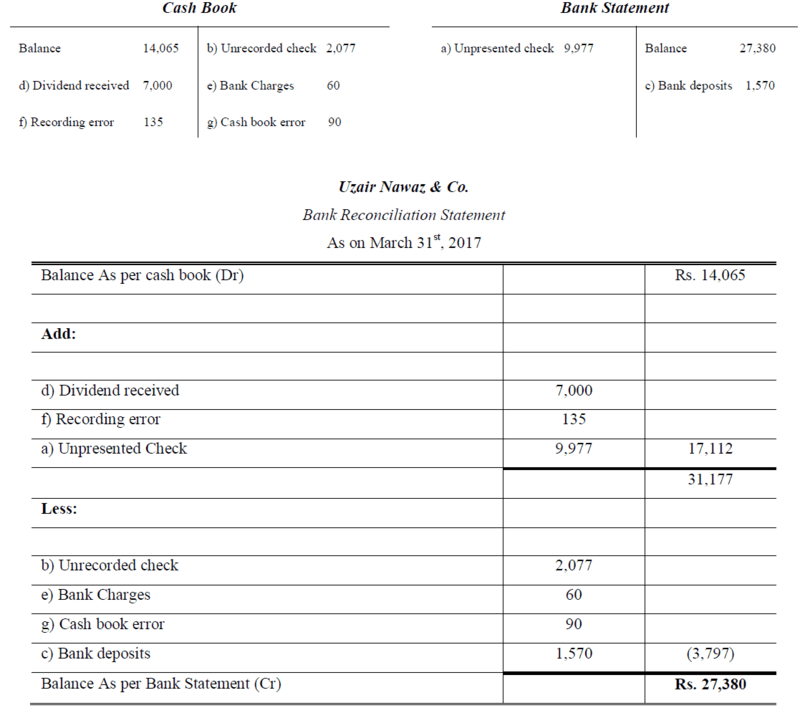 1,570 was not shown in Bank Statement. d. Dividend collections amounting to Rs. 7,000 were credited by bank but these were not recorded in the cash book. e. Bank services charges for March amounting to Rs. 60 were debited by the bank but these were not recorded in the cash book. f. The bank debited Rs. 345 for insurance premium paid on March 28, on behalf of company, but it was recorded by company as Rs. 480.
g. A check for Rs. 890 of Asif, a customer, which had been deposited in the bank incorrectly recorded in the cash book as Rs. 980. 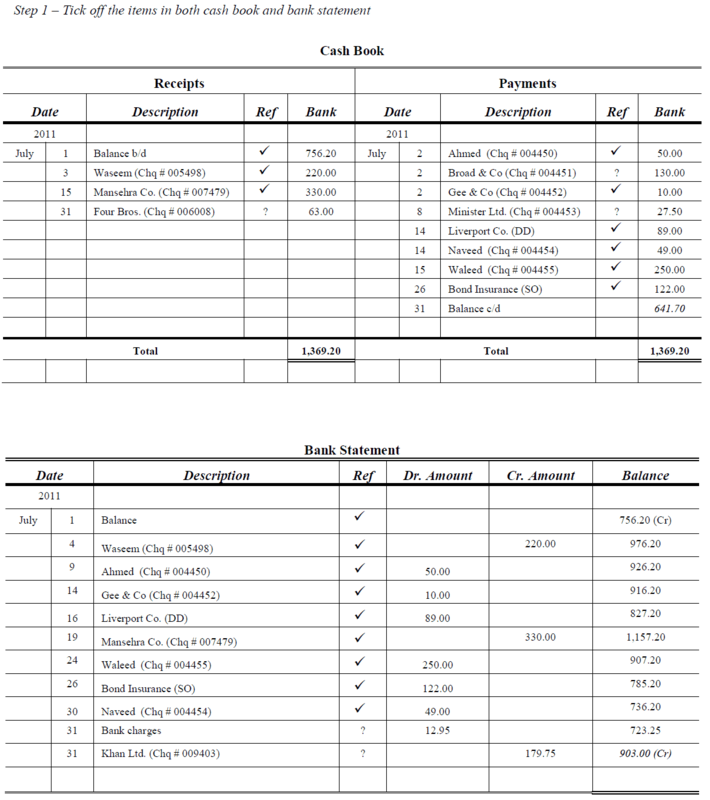 >> Practice Bank Reconciliation Statement Format.